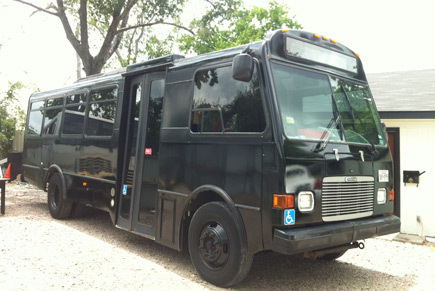 Sturdy and anonymous from the outside and completely contemporary and color coordinated on the inside. 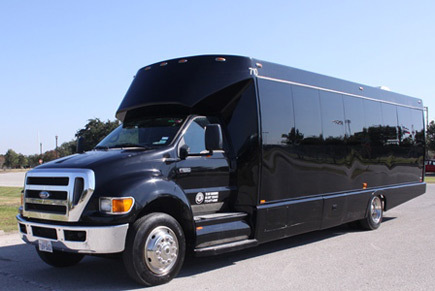 This is the metropolitan Houston area's choice for bigger groups when it comes to a party bus. 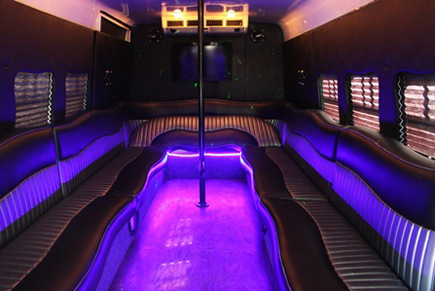 Lots of dancing and mingling room and all of the top-notch amenities that have become synonymous with H-Town Party Bus's fleet! 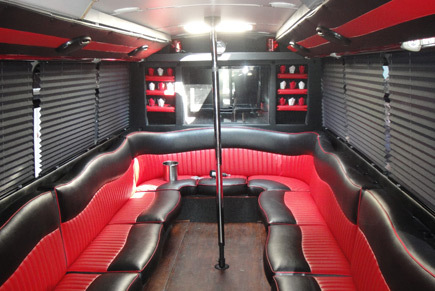 Three Tv's, LED Light Show, Dance Pole, Leather Custom Interior, more. 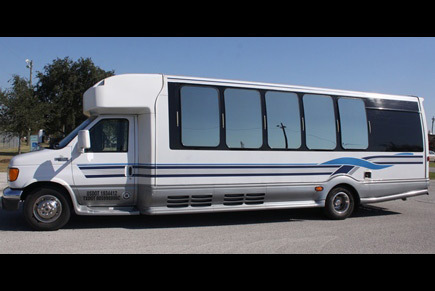 For medium-to-large groups - or just those of you who wish to have more room to move around - that want to hit the town with style and class, here is a fun selection that has all of the features of the best limousines out there but with plenty of head room and a smoother ride than most buses. 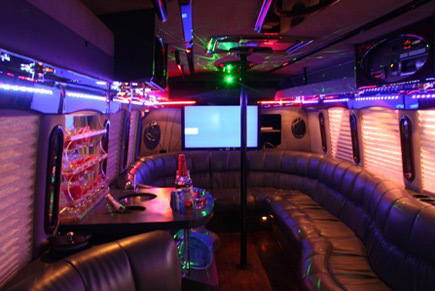 Three Flat Panel TVs, Loud Sound System w/CD Player, Stripper Pole (not pictured), Several Bar Areas, DVD Player and more! 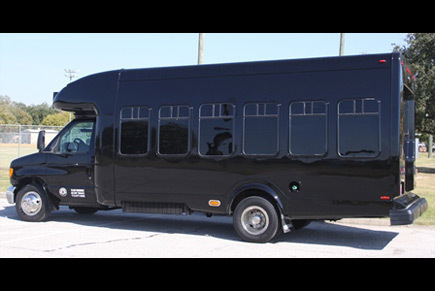 New Two-Tone Interior, Three TV's, Stripper Pole, Laser Light Show, CD Player w/iPod Adapter, Very Dark Limousine Tinted Windows, more! 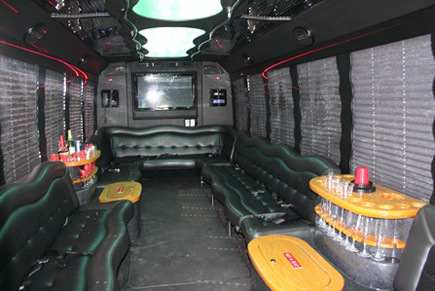 State-of-the-Art Laser Light Show, Powerful Sound System w/Several Subwoofers, Bar Area with Counter Space, New Hardwood Floors, Comfortable Couch-Style Leather Seating, more!